Great stuff on your blog. You have a wonderful and lively sense of composition. 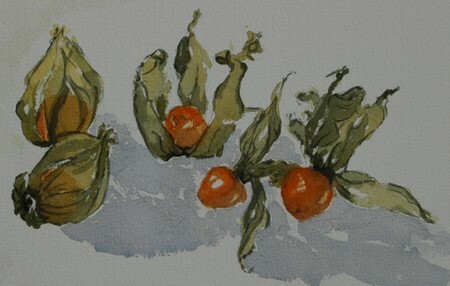 Your sketches are great–so expressive and your watercolors are just delightful. I’m so glad you commented on my blog leading me to your site. I’ll be back! 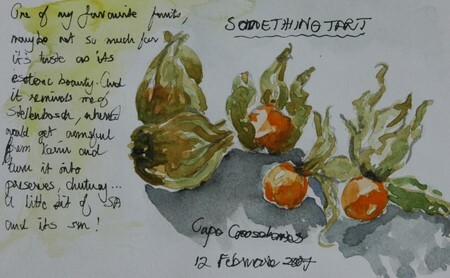 Gorgeous paintings! Though I really like both versions, I prefer the more sketchy one. (aka the one you did first). Oh, and have a great time! I like them both, Ronell, but I think I prefer the quick sketch as well. It’s hard to reproduce that spontaneity in a second try! Very nice! 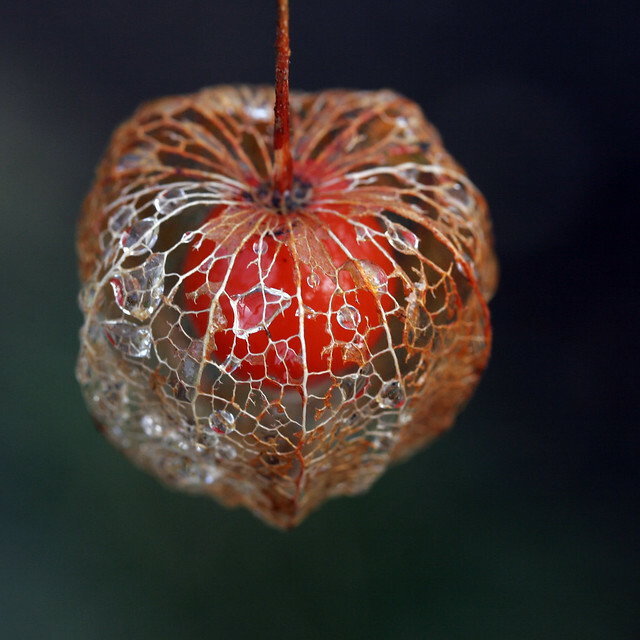 Have u ever seen this photo of a Physalis? Previous Previous post: Crash Ill. Fr.